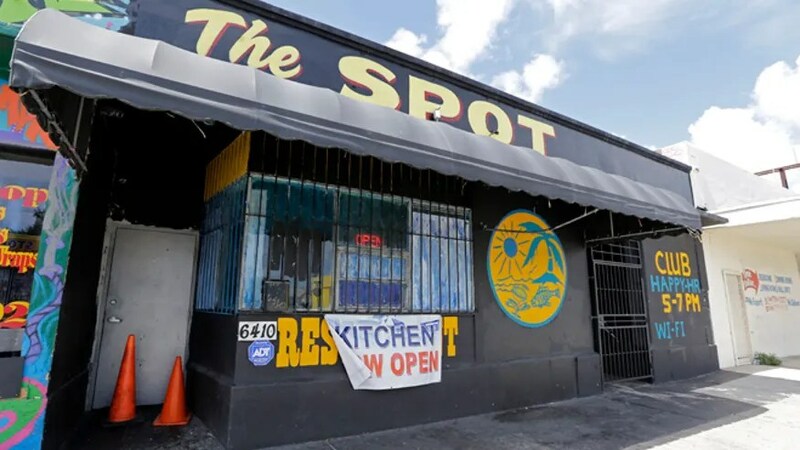 MIAMI – A shooting sent terrified patrons scrambling from a Miami nightclub early Sunday and left 15 people wounded, including an 11-year-old child, authorities said. At least one person was reported in critical condition but the extent of the other injuries wasn’t immediately known. Some people were running, “people were screaming, people were saying they were shot,” Carroll said, adding others were yelling for help for friends who had been shot. “The investigators are still interviewing witnesses. They’re going from hospital to hospital,” police spokeswoman Frederica Burden told AP. She said it was not immediately clear who or how many fired weapons and what prompted the gunfire. No arrests or suspects had been reported by Sunday afternoon. Authorities said there were many young people at the site. At least three of those hurt were transferred to a pediatric unit. “What was very surprising to the responders was that these were kids that were out at 1 o’clock in the morning in a club and this type of violence took place where a bunch of kids were gathering … it’s very disturbing to see that,” Carroll said. A spokeswoman for Jackson Memorial Hospital said she did not have permission from the victims to release their conditions. Authorities said they are investigating what type of club The Spot is and why so many underage children were there. “Was it a private party, was it open to the public, that’s what we’re trying to figure out,” said Officer Burden. Fire Rescue officials also will follow up with the venue to determine whether it’s a teen club, whether it’s licensed as a club for regular gatherings or whether this was an informal event, Carroll said. A phone number for the club was out of service. Early Sunday, police and other emergency officials cordoned off the outside of the club with yellow crime scene tape and police crowded the entrance to the club. Emergency vehicles also blocked the roadway for hours. This entry was posted in Global+Crisis and tagged 15 hurt in Miami nightclub shooting, police say. Bookmark the permalink.